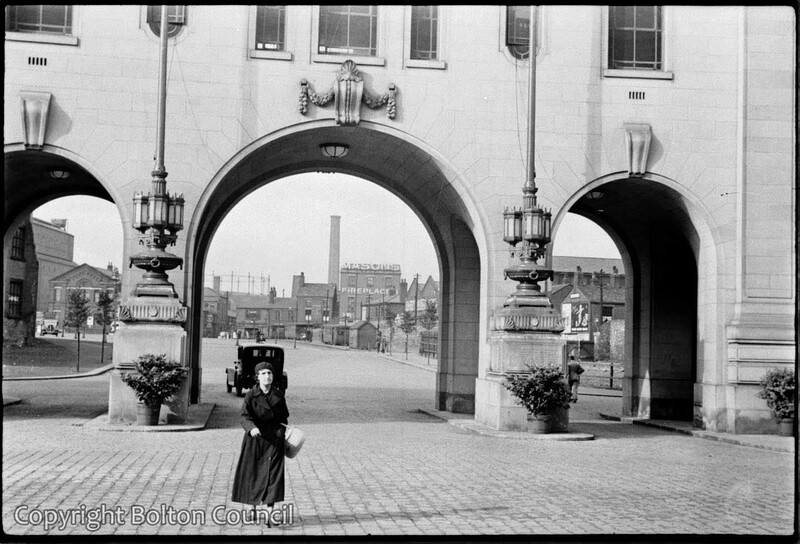 View through the central arches of Le Mans Crescent (Civic Centre), Bolton. The building which still houses Bolton’s Museum and library was under construction when photographed by Humphrey Spender and was officially opened in 1939. A similar photo to this was recently published in the Bolton News(2013). The caption incorrectly suggested that the word “Fire” was a sign pointing to the fire station (which was then on Marsden Road). Hi Bill, what do you mean by “Fire”? In the background is the Masons Fireplaces who serviced the fire places at home.